The Madison area experts for IP-based security camera solutions. Madison Geeks only sells and installs commercial grade security camera systems. You may need one IP camera. Or you may need a multi camera security system. Scalable to up to 50 cameras. An IP-based camera system includes several components that work together. It’s important to make sure that each component is compatible and they all work well together. You may have a need for cameras in multiple locations, we can handle that. Several news stories drive home the importance of having security and monitoring cameras in your business to not only monitor customers, and equipment, but employees as well. Believe it or not, most major retailers today use their security camera systems to monitor employee theft while they also monitor customers. In other instances, video cameras catch thieves stealing gas: http://www.fox35orlando.com/fast-five/236134196-story . And even stealing tips from a tip jar: http://www.fox35orlando.com/home/250271165-story . More businesses are adding IP-based cameras due to declining prices and the rise of cheaper cameras. The equipment has also vastly improved with advanced cameras including thermal cameras, multi-megapixel cameras, super low-light cameras, and panoramic cameras, among others. Plus you get the benefit of being able to access the monitoring systems from anywhere in the world with an internet connection. Say, you operate a small business here in Wisconsin, but spend a lot of time out of state. You can login and see and hear what your employees and customers are doing. Camera technology today is dynamic and more robust than just a couple of years ago. High definition video as well as Day/night visibility and motion detection area all here. There are different camera functions and mounting styles to choose from. Certain styles will matter more to retail businesses versus warehouses. Ceiling mount dome cameras are better suited for environments where you prefer covert operation and aesthetics. Dome coverings come in smoked and clear. Smoke covering hide the direction of the lense so you can't see where it is pointing. For retailers it's best that customers notice you have the cameras in your store. So there is a need for dome, bullet or box cameras. Night/Day cameras see in complete darkness, or extreme low-light environments. Some have panoramic views. They are more expensive than daytime only cameras. The Night/Day function is useful for after-hours monitoring both your interior and exterior and parking lot when your store has closed and the lights have been shut off. Features video with a display resolution of 720P or 1080P and an aspect ratio of 16:9 or 4:3. Cameras with HD video have a maximum resolution of 2.1Megapixels. Standard definition video also has lower frame rates, along with the lower quality image. Older security systems are mostly standard definition which makes it really hard to see detail in the image. If you have an old system you do need to upgrade to the latest HD technology with it's exceptional image clarity. Video surveillance offers several long-term benefits and helps strengthen your business. Many insurance providers offer lower rates and discounts to business owners who have retail video security systems. You will provide a safer workplace by monitoring employees and the store conditions. Slip-and-fall fraud crimes that can happen will be recorded by the camera system. You will be able to review the video in the event an employee tries to sue for a false injury. 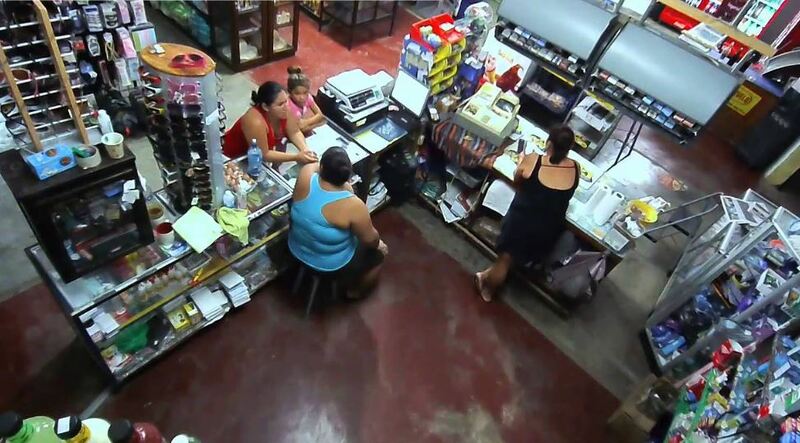 Law enforcement authorities will tell you thieves are less likely to steal from your store if they know they’re being monitored closely by multiple video surveillance cameras. Cameras need to be placed in high-theft areas like the cash register and aisles where the lighting and visibility is poor. Businesses today also face threats from flash mobs. With an IT based security camera system you have remote access to your camera system anywhere you can get on the internet. The competitive advantage is that you don’t have to be at your business storefront to operate your retail security system; remote access facilitates camera viewing and management from any Internet-enabled PC or mobile device. Our systems are scalable up to 50 cameras. You can view, record and manage all of your cameras at the same time. No need to manage each device separately. You can also have security cameras that are linked at multiple store locations, say you have a store in Madison and one in Sun Prairie. The same system can monitor both locations. Madison Geeks only sell commercial grade security camera systems. You won't get a system purchased from Costco or a big box store. Advanced functions, scalability and improved image quality make network video a smart choice. Old technology analog video cameras do not feature megapixel resolution. That really limits the quality and detail of every image. 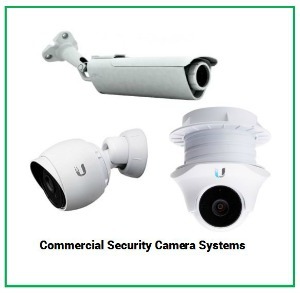 We offer a large assortment of indoor and outdoor IP security cameras specifically designed for retail applications. Contact us now to receive a free consultation with one of our expert video surveillance integrators. We also provide Total Business IT Solutions, we work as your IT department. You don't have the high cost of internal IT staff. We understand your needs and can assure that you get exactly the right IP-based camera system.